I was OBSESSED with this series as a kid! My brother and I devoured every book and then proceeded to take our bows and arrows into the yard and shoot all the things. Mostly hay bales. I got whiplash from the bow string on my face. (Apparently that’s not normal?) Basically: RANGER’S APPRENTICE WAS EVERYTHING AND SHOOTING STUFF WAS GREAT. And even back then I wished there was a series about Halt and Crowley, the sassy mentors. And, oh gosh, here it is. I was ridiculously excited when I heard Ranger’s Apprentice: The Early Years series was starting. Squeak! The Tournament at Gorlan wasn’t exactly what I thought it’d be…so I confess: I’m a slightly disappointed little pumpkin plant. I imagined it’d be about Halt and Crowley BECOMING Rangers! Their first missions and sass and learning fails. But, no. When the book starts, they ARE Rangers and they’re actually gathering other rangers to go defeat Moragrath. So. Okay then. It’s got John Flanagan’s classic style and snark. AND I HAVE INFINITE LOVE FOR HALT AND CROWLEY. It was nice to be back in the RA world, too, since it’s been like…7 years since I was fully obsessed with it?! Being an ancient melon now and not 14 years old, shooting hay bales in the backyard (and probably terrifying the neighbours) has made me realise I’ve grown out of the series a bit. The simplicity of the plot in this book didn’t excite me. But I also blame my pineapple brain for thinking the book would be about something it’s not. MY BAD. Also, before picking up this book, you need to have read Rangers Apprentice 11: The Lost Stories. The first chapter in The Tournament at Gorlan DOES sum it up, but you need the short story of Halt the Hibernian. But honestly? I wanted to know more about Halt’s past/childhood instead of just a referral back to a teeny tiny short story. CAN WE HAVE A PREQUEL FOR THE PREQUEL PLEASE???? There was still the golden snort-worthy humour that I love so much! Although I didn’t think it was as funny as the original Ranger’s Apprentice books. Overall it was a more serious book. But, ahhh, I still cackled because Halt and Crowley dish out some epic love/hate remarks. “I’ve been thinking…” Crowley began, leaving the sentence hanging for a few seconds. “A wise man once told me, don’t believe anything you hear until you’ve seen it with your own eyes,” Halt said. Crowley looked up at him. “Who said that? Pritchard?” It sounded like the sort of thing he might say. All in all, I still like this series and it’s a solid prequel! It’s like a million warm fuzzy childhood memories (and by “warm” and “fuzzy” I mean “the-time-I-nearly-shot-my-brother-with-a-homemade-arrow” and “the-time-I-stole-the-books-from-my-brother’s-room-because-I-wanted-to-read-it-first”). The whole idea of King’s Rangers and their epic bow skills is just freakishly awesome. I definitely blame this series on what got me hooked on writing fantasy. (And hello?!? My blog design has ARROWS. I love archery!) Although little things bother me now, like all the omnipresent narrative, the plot simplicity, and how evil vs good is very caricatured. BUT IT’S STILL A GOOD BOOK. Definitely recommended for lower-Young-Adult, though. I think you’d appreciate this book more if you read the Rangers Apprentice series first. But you totally don’t have to. Just my suggestion. Although my suggestions are golden, let’s admit it. THANK YOU TO PENGUIN RANDOM HOUSE AUSTRALIA FOR THE REVIEW-COPY! The Tournament At Gorlan (Ranger’s Apprentice The Early Years #1) by John Flanagan came out 16th of September, 2015. From John Flanagan, author of the worldwide bestselling Ranger’s Apprentice—the first in a new prequel series featuring one of our favorite Rangers, Halt! When Halt and Crowley discover that the ambitious Morgarath has been infiltrating the Rangers in order to corrupt the corps, the young Rangers travel north to Gorlan, seeking a royal warrant to stop Morgarath before it is too late. By weakening the Rangers, the most powerful force in support of the king, Morgarath plans to steal the throne. Yet when Halt and Crowley arrive in Gorlan, they discover just how close Morgarath’s scheme is to taking root. Prince Duncan has already been taken prisoner and an imposter installed in his place. All the while, Morgarath has been earning trust and admiration from the Council of Barons while he secretly assembles a powerful force of his own. If the young Rangers are to prevent the coup from succeeding, they will need to prove their mettle in battles the like of which neither has ever faced. 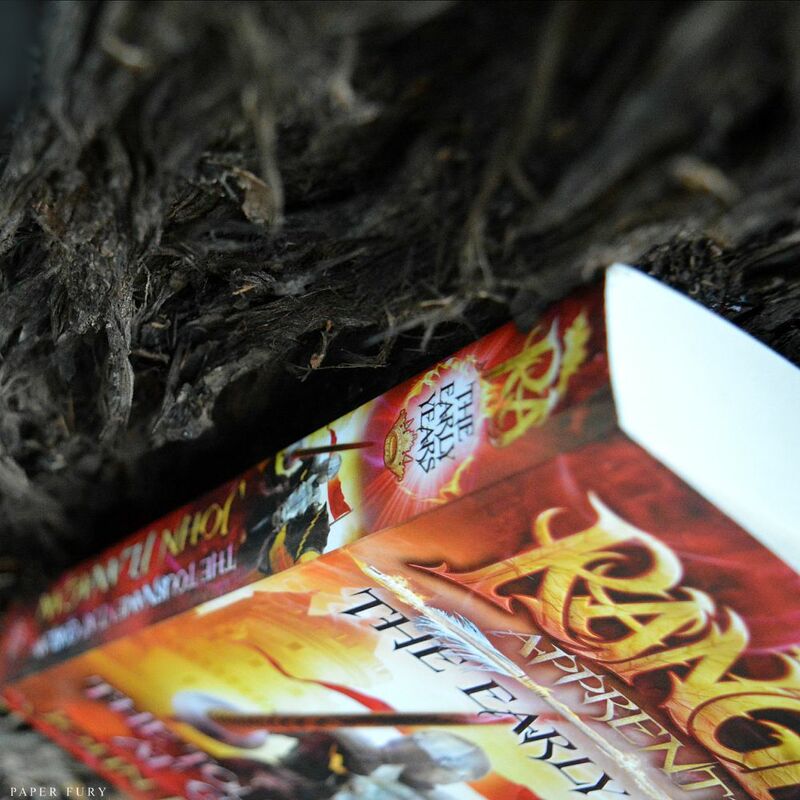 This origin story brings readers to a time before Will was a Ranger’s apprentice, and lays the groundwork for the epic battles that have already captivated fans of the Ranger’s Apprentice series around the world. have you ever read Ranger’s Apprentice? ever done archery? also is there an author you wish would write a spin-off or prequel series for a current series you love??! I never read these books, actually. 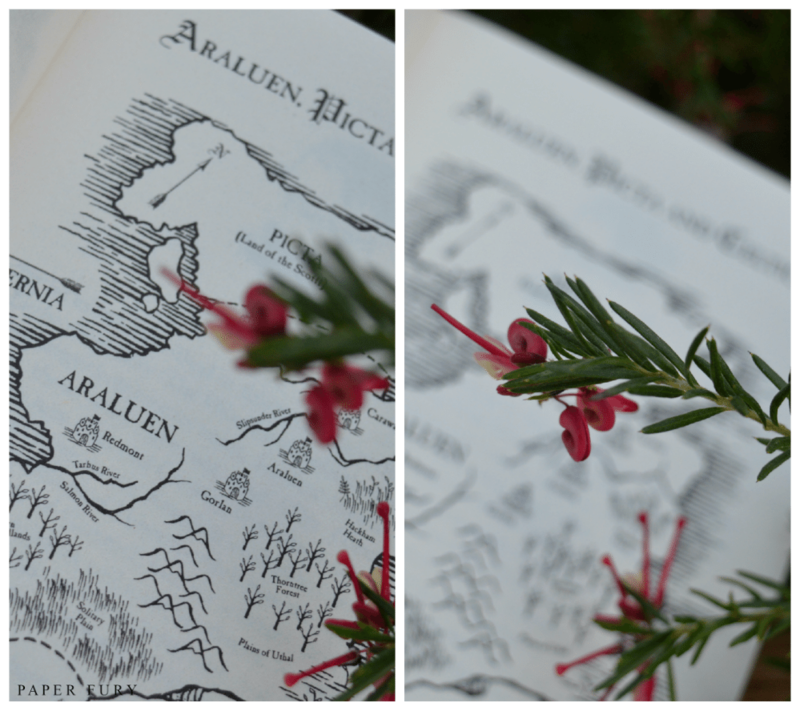 For some reason I thought they were too boyish, even though I was reading other books like Eragon which are just as “boyish” (which is dumb anyway…books are books!). Books ARE books. *nods* Although sometimes I think they do feel like they’ve been written overly gendered?? I was always reading “the boy books” when I was a small fry, although that was just because I wanted fantasy and ALL the fantasy books were by the POVs of boys back then. I mean. Oooh, this looks so good! I’ve really enjoyed the Ranger’s Apprentice series, and although it’s been a while since I’ve read them, I’m still more than willing to try these out. 🙂 Thanks for reviewing, Cait—although, I can’t find the star rating. What did you think of the book overall? *screams* WHY DIDN’T I KNOW THIS WAS HAPPENING? *puts on hold at the library* Let’s see if I can manage enough sleep and good grades at the same time . . .
ZOMG YOU DIDN’T KNOW???!!! WELL. I’M GLAD YOU KNOW NOW. XD Who needs sleep. ha. Sounds like an interesting series! I’ll have to check it out. If you do, I hope you like them. 😀 CHILDHOOD MEMORIES FTW. So… the first book of the original series is still waiting on my shelf to be read… BUT I WILL READ IT. I WILL. YAY EPIC FANTASY AND HUMOR! I’ve done archery a few times… When I was super young, and then like last year I randomly did once again and it was so fun. Also, the first time I shot again last year, I hit a direct bullseye, not even trying. (Yes, I was murdering haybales, btw.) Then when I actually TRIED I never hit the bullseye again. XD Hee. I have to read ‘The Ranger’s Apprentice’ series, but it’s cool knowing there is a prequel for when I catch up. I have the first three. I read this book two days ago! and enjoyed it, It was pretty much as expected, because I had heard that is was of the ranger corps being reformed. I think though you have one mistake in your post… I think…. The Lost Stories is book 11 is it not? Ah memories of the rest of the series and all those hilarious characters! THOSE PHOTOS. THAT BIG BANG THEORY GIF. I admit, I have never even heard of this series before. Did that stop me from reading your (always) fabulous review word for word? Nope. You do some of the funniest review, Cait–and you always get your point across. Give me your secrets. Are you half dragon? Did you sell your soul? Someone’s ELSE’S soul? I must know. I haven’t read Halt’s Peril or Emperor of Nihon-Ja yet. I was dissapointed by Kings of Clonmel. Are books 8 and 9 worth reading? I haven’t read the Ranger’s Apprentice books so it would be hard to pick up this one. Glad to hear it was a great prequel for you as a fan though! 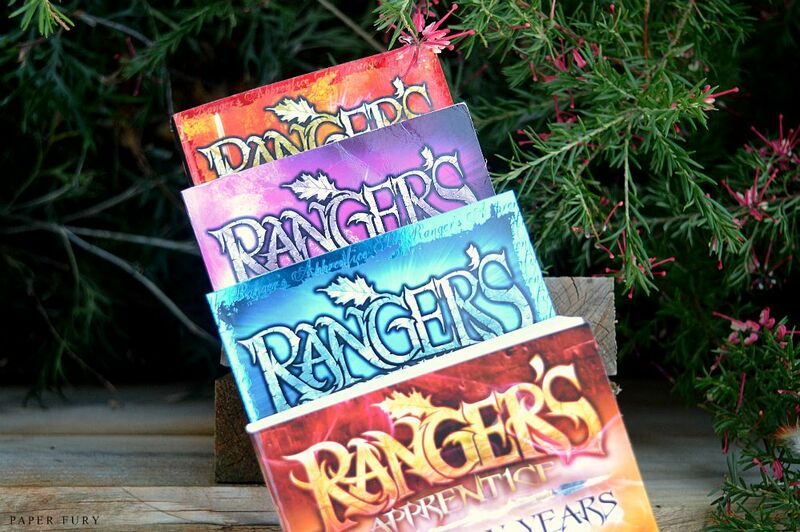 OKAY BUT LIKE RANGER’S APPRENTICE WAS *EVERYTHING* TO ME IN FIFTH GRADE. (Honestly, it still is.) That said, HOW DID I NOT KNOW THIS WAS HAPPENING. You have no idea how mind-blowing this is. Although now, reading your review, I’m a little concerned—I too desperately wanted a series about Halt becoming a Ranger (I mean Halt’s backstory is just?? GIVE ME THE SERIES NOW). Hopefully if I do end up reading this, I can read it for the humor and characters I already love. AND JOHN FLANAGAN’S GLORIOUS FIGHT SCENES. Great review, Cait! I HAVE NOT READ ANY OF THE RANGER’S APRENTICE, WHAT EVEN AM I DOING WTH MY LIFE? Well, I think part of the reason why I haven’t read any of these books (and I’d totally start with the original series because I’m like that, and your suggestion is golden), aside from the fact that my library has none of them, is that when I jump into a series, I want to have all the available books on hand. Which means, one way or another, I would want to buy them all. So I’m kind of just waiting until I’m a rich and famous world ruler. But seriously, I taught archery for a few years at a summer camp (like, I was certified and everything), and I have never seen any of the kids manage to get whiplash in the face. That takes serious skill. I DON’T EVEN KNOW, LIZ. WHAT ARE YOU DOING? WASTING YOUR LIFE, CLEARLY. My suggestions are always golden. #sohumble But yes, yesss, I always hesitate on series my library doesn’t own all of. Although annoyingly my library likes to collect books 2 and like 5 or something of every series BECAUSE THAT’S HELPFUL. *growls* Still. When you’re rich yes. Unfortunately you’ll never be world ruler *flips hair regally* but I won’t protest you being rich, because then you can buy me gifts too. SEE I HAVE IT ALL WORKED OUT? Oh wow, I’ve heard of those camps! 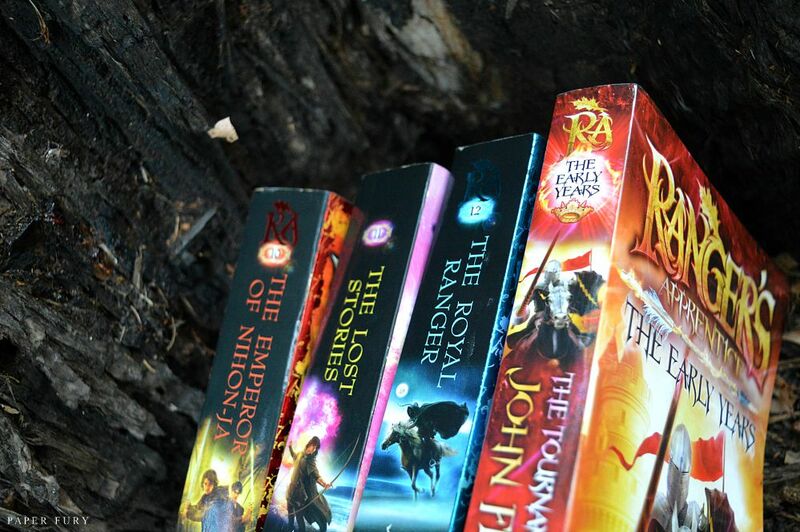 And I was jealous that they were only in Australia…and for kids younger than I was when I read the series. *pouts* Senior rangers, yes! XDDD You and I can be grumpy old Rangers ordering the youngsters around. That’s the thing with books, sometimes you outgrow them. Especially when they are middle grade books because generally the plot and twists are fairly simple. Your 12-year-old self is impressed but when you pick up the exact same book as an adult, you’re underwhelmed. I was so very excited about this book. I did not even know it was coming out, I was merely looking if book 6 of Brotherband was out yet. The book is just wonderful, I hope this will be another complete series. I agree with the reviewer about the simplicity of the plot, but John Flanagan has a knack for making the story appear so much larger than the pages on the book. 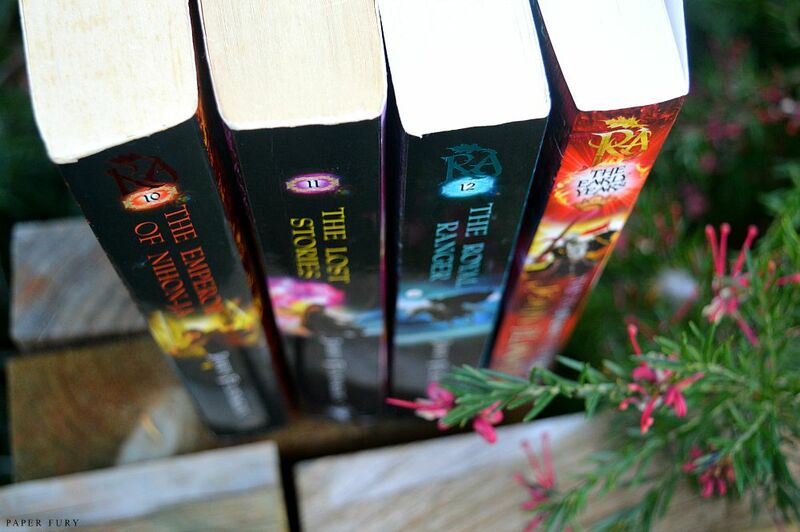 I have read books that were 1000 pages that seemed shorter than the Ranger books. Also, it got my daughter into reading, she thought books would poison her until I told her years ago about rangers apprentice. She picked it up and needless to say, she (now 19) is hooked and will call me and say things like “oh my god, Tug is hurt!, or “will Ebony be okay? etc. etc. Just awesome!! Only for that reason alone, thank you so much for writing such a wonderful story.